Peri Skincare Debuts at the Prestigious Cleveland Clinic! For Immediate Release — With the awareness for healthy living and wellness at an all-time high two companies whose passions are rooted in these principles are partnering in a joint venture. Starting May 10th, the prestigious Cleveland Clinic Wellness Store will carry the Innovative Product “Sofiel” by Peri Skincare founder Lisa Stewart. The vision of the Cleveland Clinic is to strive to be the world’s leader in patient experience, clinical outcomes, research and education. The Statement of Values established by the Cleveland Clinic resonates well with Ms. Stewart and Sofiel. Quality, Innovation, Teamwork, Service, Integrity, and Compassion. Maintaining the highest standards and achieving them by continually measuring and improving our outcomes. Peri Skincare is the brainchild of spa owner and entrepreneur Lisa Stewart. Sofiel by Peri is so pure you could eat it! It will not disrupt the endocrine system, and there are no preservatives and no chemicals. It is gluten free, vegan and cruelty free. Sofiel exfoliates, brightens, tightens and moisturizes the skin. This unique 4 in 1 formula turns a daily beauty basic into a lavish treatment. Packed with natural Camu Camu one of the richest sources of Vitamin C in the world and nourishing botanicals to visibly refine skin texture and tone, while minimizing the appearance of fine lines. With continued daily use, skin becomes velvety smooth and more luminous in appearance. Sofiel by Peri is made with quality natural ingredients. Sofiel is vegan, cruelty-free, gluten-free, paraben-free and non-comedogenic. The cutting-edge technology coupled with ingredient precision results in improved and long-lasting volume, radiance and rejuvenated skin texture. Sofiel turns back the cellular clock and creates a more youthful appearance! All of this combined is the perfect match and partnership that Peri looks forward to enjoy with the Cleveland Clinic Wellness Store. Renowned beauty industry expert, Lisa Stewart is a trusted skin care visionary whose passion and tireless efforts have earned her a place in the market as one of the most beloved and most sought after skin care professionals in the country. After graduating from Kent State University, she entered the sales field beginning an illustrious career in retail sales for the beauty industry before transitioning into pharmaceuticals. Lisa always had a dream of one day owning and operating a spa. This drove her to earn her dual esthetician and managing esthetician license’s and then she set forth to learn the spa industry and operations from the inside out. Since 2003 she has lead training seminars for professional skin care lines, including a partnership with the global skincare giant THALGO as their National Trainer and Educator for Nordstrom and many other prestigious properties and spas spanning the globe. Lisa recently received momentous recognition in the national industry publication – Skin Inc. Magazine in their “A Good Influence” section as a leader and a pioneer in her field. Not to mention her countless local accomplishments, which include numerous appearances on Fox 8’s ‘New Day Cleveland’ as “Beauty & Lifestyles Expert,” Channel 3 (NBC) highlighting innovative skincare technology, Brecksville Magazine, the radio show ‘Speak Up and Stay Alive,’ Mimi’s Vanderhaven (Cover), West Shore Magazine, Fox 8 Best Of, Patch Reader’s Choice Best Spa 2012, MIMI’s ‘Ask The Expert,’ and The Sun Courier for her excellence in skin care. 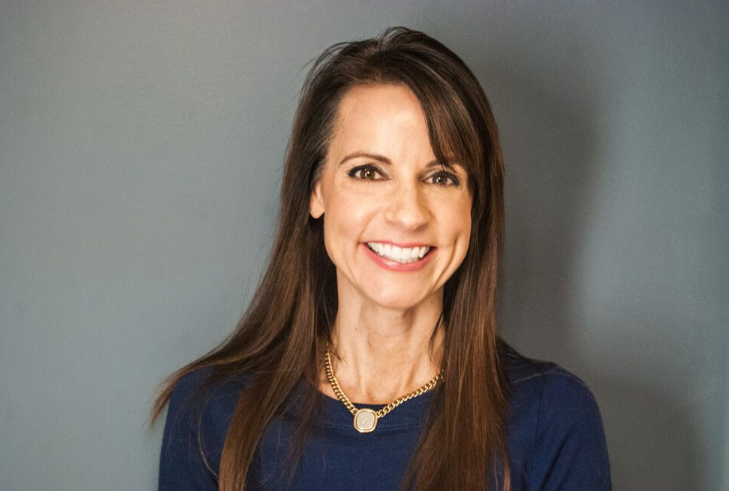 Lisa believes in taking extraordinary care and time to analyze each client’s unique needs, and to formulate targeted, realistic solutions that benefit not only the appearance but their overall well-being. She currently sees clients in her luxurious Solia Spa in Brecksville, OH.